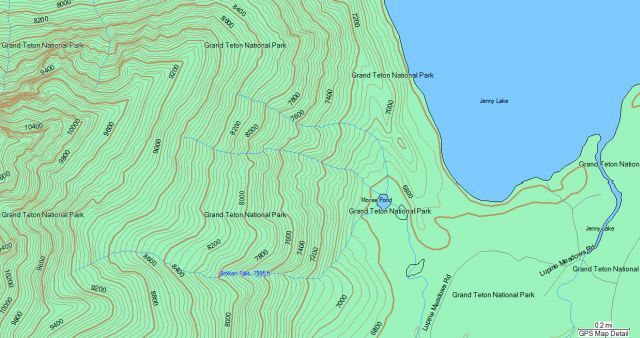 The purpose of this project is to create electronic topo maps for the state of Wyoming for Garmin GPS units with mapping capability. This is an on-going project with additional updates performed as time and resources allow. Subscribe and keep up with the latest mapset news and updates! The mapset covers the state of Wyoming. The installation of the maps is fairly simple. The maps can be utilized from within Garmin's MapSource software (on PCs), Garmin's Bobcat/MapInstall software (on Macs) or simply uploaded directly to your GPS unit (using freely available utilities). The accuracy of the data used to create these maps varies greatly. These maps are to be used for reference purposes only. The author(s) are not responsible for any inaccuracies and no responsibility is assumed for damages or other liabilities due to the accuracy, availability, use or misuse of the data presented. Installation and use of these maps is at your own risk! For use from within Garmin's MapSource (on PCs), download and execute the mapset installer below. This program will install the map files and register the mapset with MapSource. Within MapSource a new mapset product "Wyoming Topo Maps" will be available in the Product drop down selection list (or from the View | Switch to Product menu option). For use from within Garmin's Bobcat/MapInstall (on Macs), download and uncompress the converted mapset archive below. Double clicking on the resulting file will initiate MapManager to install the maps for use with Bobcat/MapInstall. 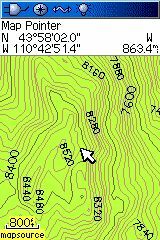 The Wyoming Topo Maps mapset should overlay any other mapset present on your GPS unit. To switch between mapsets (if more than one has been loaded to your GPS) simply hide/show mapsets as described here. There are other ways you can help to support this effort. 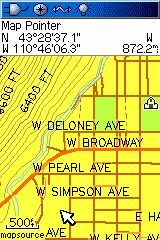 This clearinghouse provides browsing and query tools for locating and downloading spatial data for the state of Wyoming. Most of the data in this clearinghouse has been compiled by individual projects at the University of Wyoming. The clearinghouse also serves natural resource data from outside organizations/agencies affiliated with the University. In February 1989 the Census Bureau released the first TIGER/Line files, called the Prototype TIGER/Line files. The TIGER/Line files provided the first seamless nationwide street centerline coverage of the United States, Puerto Rico, and the Island Areas and replaced the 1980 GBF/DIME Files (which covered roughly two percent of the land area of the United States). The GNIS is the Federal standard for geographic nomenclature. It contains information about physical and cultural geographic features of all types in the United States, associated areas, and Antarctica, current and historical. The NED is a new raster product assembled by the U.S. Geological Survey. NED is designed to provide National elevation data in a seamless form with a consistent datum, elevation unit, and projection. Several software applications are used, the main ones being GlobalMapper, which is used for the majority of data manipulation/configuration and cGPSmapper, which is used to compile the data into a Garmin map file.